At Clearbrook Treatment Centers, we understand that seeking help for you or a loved one struggling with addiction can feel overwhelming. There are many misconceptions surrounding addiction rehab and the drug and alcohol treatment center’s admission process. To combat any confusion, our team has designed an addiction treatment center admissions process that is efficient, straight-forward, and as comfortable as possible. At our inpatient rehab program in Pennsylvania, we treat numerous drug addictions and offer a variety of services for addiction treatment. 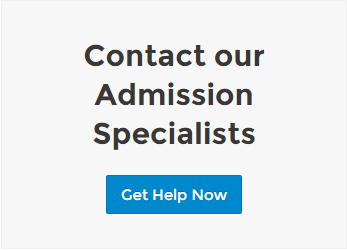 Our specialists are available by phone 24 hours a day to assist prospective patients and their loved ones during the entire drug and alcohol treatment center admission process. From the moment someone contacts our Clearbrook Treatment Centers admissions consultants, they are met with the warmth and compassion that embodies our rehab centers in Pennsylvania as a whole. During the time of the initial assessment, our specialists will ask you some questions to determine if the individual is appropriate for our levels of care. After this information is confirmed, our specialists will then begin the intake assessment part of the admissions process at our drug and alcohol treatment centers with a phone interview for the prospective patient. Our specialists will use this information to further determine the appropriate level of care and necessary treatment. Some of the information that will be asked is listed below. Demographic information.Including, name, address, phone number, birthdate, gender, social security number, etc. Prior treatment/recovery history. Has the prospective patient been to another drug or alcohol detox center in the past? If so, when and what were the outcomes? Has the patient been sober/practiced abstinence in the past? Family history. Do immediate/extended family members struggle, or have struggled, with substance abuse at any point in their lifetime? Medical history. Are there any current medical issues our staff and medical team needs to be aware of? If applicable, current medication list and prescribing doctor information may be required. Legal history. Does the prospective patient have any current legal charges? If so, court dates or contact information for lawyers and/or probation officers may be required. Does the prospective patient have a past legal history? Mental health history. Has the patient ever been diagnosed with a mental health condition(s) at any point in their lifetime? If so, diagnoses, current medications lists, and prescribing doctor information may be required. Insurance information. At this time, our Admissions Specialists will also gather health insurance benefit information to verify if our levels of care are covered by the patient’s policy. Please have your insurance information easily accessible. Once the prospective patient has gone through this part of our addiction treatment center admissions process, the specialist will determine the patient’s needed treatment. The specialist handling the case will then schedule a time and date for admission to Clearbrook Treatment Centers. Whether you are looking for prescription drug addiction treatment or inpatient alcohol treatment in Pennsylvania, each prospective patient will receive a customized treatment plan that is tailored towards their individual needs. At the time of arrival to our Pennsylvania treatment center, the patient will be greeted by our admissions team and go over additional paperwork to ensure that we have all of the necessary information on file, including emergency contact information and permission to speak with designated individuals about the patient’s care. Starting with the time you first speak with our addiction treatment center admissions specialists to indefinitely after your discharge, our services are 100% confidential. We will only speak with family, friends, or other outside parties about your care if you permit us to. This requires a written and signed consent form, which our specialists will discuss with you at the time of admission. As an inpatient detox center in Pennsylvania, we will run a thorough medical history of the patient at this time to determine the best course of detoxification, if applicable. The detox process can vary from person to person and depends on medical history, current medications, allergies to medications, age, and so on. What may be beneficial for one individual could be potentially harmful to another, so detoxification is always done on an individual basis. After meeting with our medical team and getting settled into your room, you will have the opportunity to meet other members of the patient community, including a buddy that will be assigned to you. Your buddy will be a senior member of the patient community who will introduce you to other community members and show you around. They will be with you for the first few days as you get acclimated and learn the daily schedule of meetings, groups, and other activities. You will also be greeted by your primary counselor who will handle your individual case for the duration of your stay. They will schedule a time to meet with you for your individual session and provide you with reading materials that you will incorporate into your clinical groups. At Clearbrook Treatment Centers, our daily operations are based upon the philosophy that “Patients Come First.” It is our goal that you are met with care, compassion, and understanding during your time with us, and we make every effort to ensure that you are provided with the highest quality of services for long-lasting sobriety. Contact us today to learn more about our alcohol and drug rehab in Pennsylvania and to begin our addiction treatment center admissions process. Please provide us any information about how we can help you.